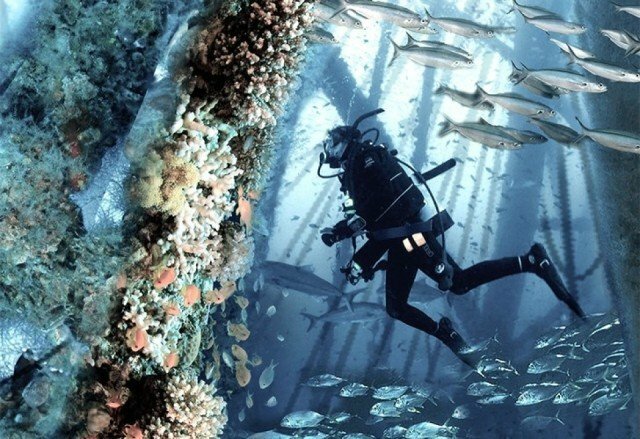 Oil rigs may not have the most pleasant association with the ocean, however, the Noah Oasis project has it in their vision for these two things to coexist. Not just to coexist, but to thrive off of each other. 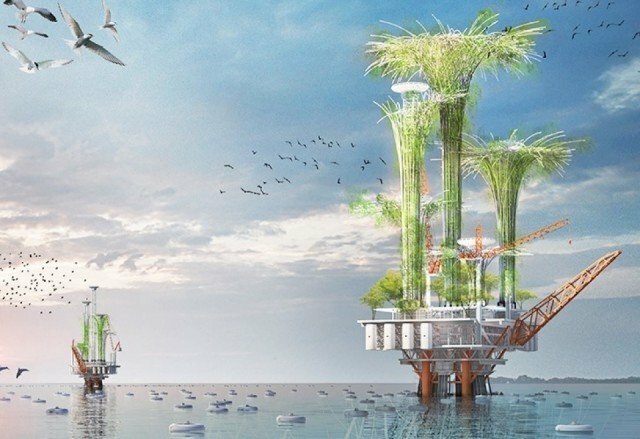 They are transforming off-shore oil rigs into vertical bio-habitats that help restore the oceans from oil spills, bringing harmony back to marine eco-systems. 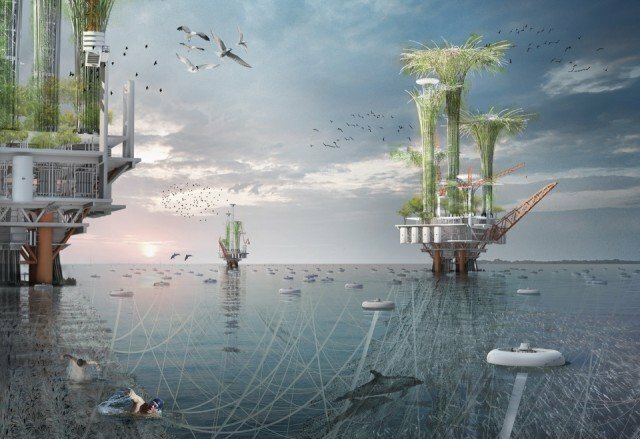 These floating structures are intended to pop up all over the globe, soaking up the marine-life threatening oils that lurk in the sea. But it’s not just an ocean clean-up taking place. This project would collect the oil from the surface of the sea and take it to their internal processors. Here the oil would be converted into a type of plastic that can be used as a building material in the creation of coral reefs. The concept somewhat resembles a hybrid between an oil rig and a tree. Pipes attach the rig to the bottom of the sea, like the roots of a tree. Whilst it will offer habitat to all kinds of life, bringing bio-diversity back to the oceans. If an oil spill occurs, floaters that lay upon the surface of the water absorb the oil and return it to the rig. 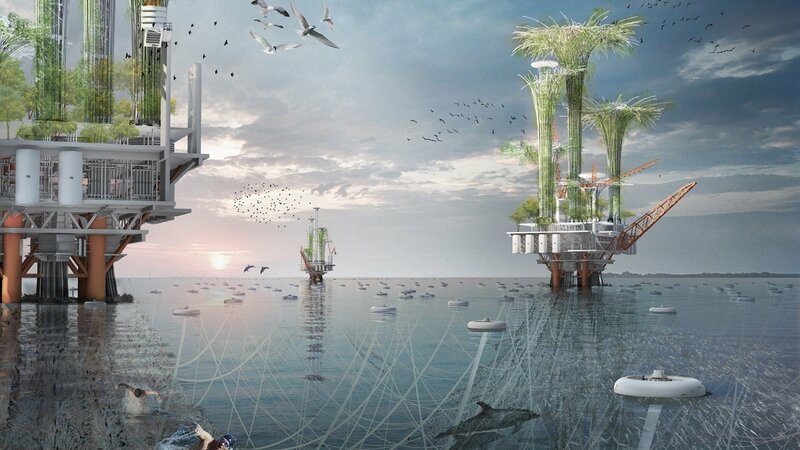 The structures would be like skyscrapers in the sea, but surrounded by life rather than smog. 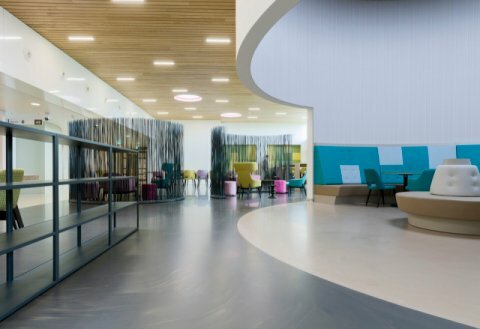 The project that tackles an impressive amount of current problems won honourable mention from this year's eVolo Skyscraper Competition.